With the win-win nature of the relationship clearly established, it's full-steam ahead on the Burmese BRI front. The soon-to-be upgraded Road to Mandalay. Early last month, the planned development of the China-Myanmar Economic Corridor (CMEC) was given the formal go-ahead, with representatives of both parties agreeing the terms of the 15-point Memorandum of Understanding (MoU) that defines the scope and intent of the project, while also allocating the specific responsibilities and entitlements. With the wording and the fine detail in place, the MoU is expected to be signed before the end of the year, with work on the project – a key element of the Belt and Road Initiative (BRI) – expected to begin soon after. Plans to establish the CMEC were first mooted last year when officials from the two countries jointly floated the idea of establishing rapid-transit links between Kunming, the capital of China's southwestern Yunnan province, and Mandalay, Myanmar's second-largest city, and then on to Yangon, its former capital. The route would also branch off to the west, connecting the Kyaukphyu Special Economic Zone and its deep-water port to the wider transport network. In addition, with enhanced connectivity the overall priority, it was also envisaged that a number of additional roads, railways and pipelines would be constructed with a view to linking up many of the megaprojects already under way in Myanmar, including the Kyaukphyu Port and the China-Mandalay High-Speed Railway. This would be a precursor to the establishment of an enhanced logistics network across the region, together with an upgraded telecommunications system and a series of new agricultural projects. Prior to that, agreement had already been reached on the implementation of a number of other joint projects, including the construction of the Kwanlon Bridge and the implementation of a road / rail link between Chinshwehaw, a town on the Myanmar / China border and Lashio, the administrative capital of Shan, Myanmar's largest state. Discussion has also focused on upgrading Chinshwehaw to international border gate status and the construction of a nearby Special Economic Zone (SEZ) as a means of boosting cross-border trade and tourism between the two neighbouring countries. It is the CMEC, however, that is seen as offering the biggest benefits to both countries. In China's case, it will secure access to Kyaukphyu, its second deep-water Indian Ocean port. Together with Pakistan's Gwadar Port, both offer considerable strategic advantages in line with the long-term aims of the BRI. 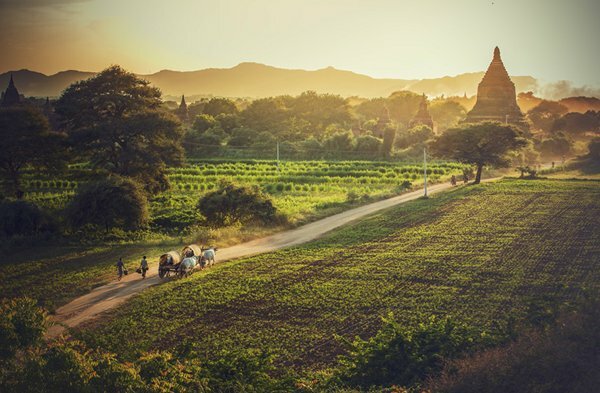 Additionally, it will be well-placed to up its level of trade with resource-rich Myanmar, while playing a leading role in upgrading its neighbour's infrastructure will also use up much of its surplus construction capacity. For its part, Myanmar gets access to China's massive consumer market, while also gaining an international state-of-the-art port facility in its less-developed north. In the same region, the Corridor could also make a considerable contribution to ending the enduring ethnic unrest through the provision of better employment prospects and a higher level of overall prosperity. The go-ahead for the CMEC has also seen a number of the previously stalled Myanmar-sited BRI projects suddenly restored to active duty. Most notably, the apparently becalmed plan to complete work on the Kyaukphyu Deep-sea Port has taken on a new lease of life. Another key project, the China-Mandalay High-Speed Railway – not long ago put on indefinite hold following uncertainties over its forward financing – now also appears to be back on track. The news of its return to active status was announced by the senior team of Myanmar government officials that attended the HKTDC Belt and Road Summit in Hong Kong in June. At the time, it was reported that not only was work on the project set be resumed imminently, but also that the line would now extend to Yangon and then on to Kyaukphyu, the site of the China-backed Special Economic Zone and deep-sea port.